Saturday September 20th marks two special events in support of Team Fox and the Michael J. Fox Foundation for Parkinson’s Research, and they extend warm invitations for you to attend. Plus – throughout the day – a silent auction with amazing prizes and fashion designs. So be sure to make time to pay the gala a visit, attend one of the shows, join with the dancing and bids for the things that take your fancy in the auction? In fact, given the location, why not spend the time between events exploring the magnificent mansion and its parklands? There is much to see, as I noted back in March 2014. TeamFox SL was founded in 2008 by Solas NaGealai, and was the first official representation for Team Fox, the grassroots fundraising organisation for the Michael J. 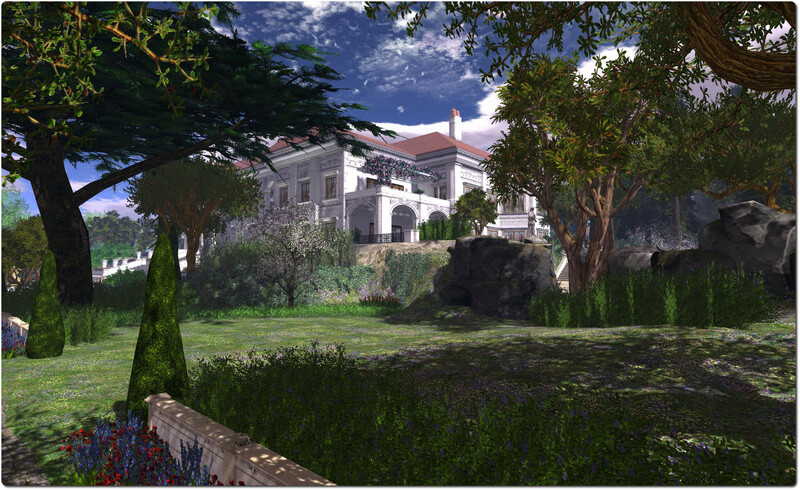 Fox Foundation for Parkinson’s Research (MJFF), in Second Life. Team Fox SL is dedicated to raising funds for the MJFF, disseminating information about the disease, and providing support for those diagnosed with the illness and their families. 100% of all donations received by Team FoxSL goes directly to Team Fox and the MJFF. As one in twenty of the 8 million Parkinson’s sufferers worldwide is below the age of 40 – as were both Michael J. Fox and Solas herself when they were both diagnosed with the disease – a particular focus of TeamFox SL’s activities is that of Young Onset Parkinson’s Disease (YOPD), and you can read more about their work through my recent article and chat with Solas. Creations for Parkinson’s grew out of the work of Barbie Alchemi and her brother, AlmostThere Inventor, in building a place in Second Life they could share with their mother, Fran Serenade, who had been diagnosed with Parkinson’s – a disease which had also claimed the life of her husband. Today, Creations Park offers a range of locations above and below the waves which are open to visitors to enjoy and explore. Creations for Parkinson’s holds events throughout the year, often in collaboration with Team Fox SL, and 100% of all donations received goes directly to Team Fox. You can read more about Fran and Barbie’s story through this blog, or witness it through the award-winning Drax Files World Makers video of their lives. The MJFF was founded by Michael J. Fox after he had been diagnosed with Young Onset Parkinson’s Disease (YOPD) when just 29. He refers to it as a business in the business of going out of business – by finding the means to combat Parkinson’s more effectively and bring about a lasting cure. In the fourteen years since it was established in 2000, the MJFF has raised over $400 million, money which has been put to use funding a broad-ranging and aggressive programme of research into a number of areas related to the disease: defining it, altering it, investigating untreated symptoms and developing new tools to assist in further research activities. Founded in 2006, Team Fox is the grassroots fundraising arm of the MJFF, established in response to requests from Michael’s fans and other Parkinson’s sufferers to help support the Foundation’s work. To date, it has raised some $27 million which has gone directly to the Foundation’s research activities. As always, please refer to the server deployment thread for the latest updates. On Wednesday September 17th, the three RC channels each received a new server maintenance package, which includes some bug fixes, and tweaks some behaviours related to experience tools. CDN support has been deployed to a small number of regions on the main grid. Maestro Linden indicated these were four Linden-owned regions. These are Hippotropolis, Hippo Hollow and Denby (where the Simulator User Group meetings are held), and the Testylvania sandbox (which isn’t open to public access). 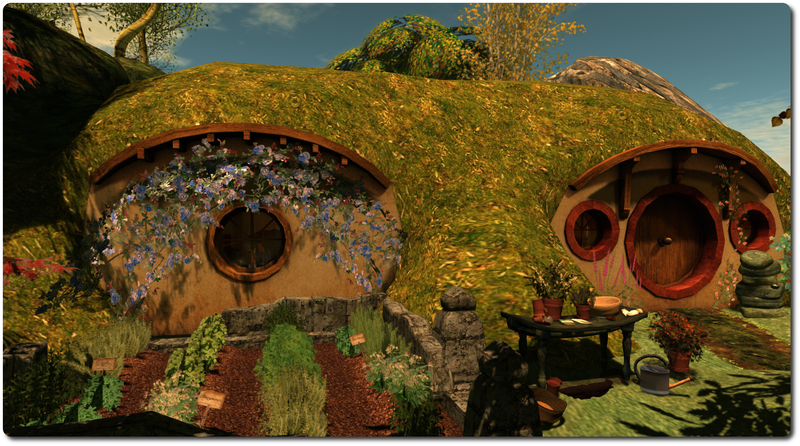 Further regions will be updated to use the CDN service going forward, and the Lab had created an e-mail address region owners can apply to have their region(s) added to the test channel for the CDN: cdn-test@lindenlab.com. Note that regions should be those with a relatively high texture / mesh count, and space is “very limited” at this time (the total for the initial testing appears to be set at around 30 regions). In addition, the map tile fetching for the main grid is now entirely carried out via the CDN, so map tiles should load a lot faster for people now. 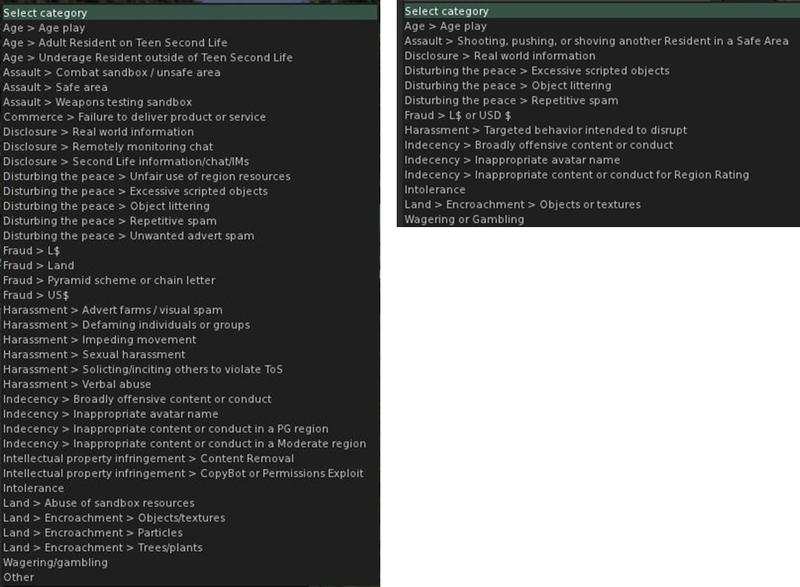 The categories used to define Abuse Reports were recently revised in the official viewer. This has led to some discussion on the forums and not a little speculation elsewhere as what it means for the AR system, with some people speculating that because some categories are no longer explicitly listed, there are therefore now “allowed”. While views such as this might be debated until such time as the Lab issues commentary on the changes, the one thing that is clear at the moment is that they do put the AR floater somewhat out-of-synch with its official Knowledge Base article given the “Other” category has been removed. This has been noted and the Knowledge Base article is liable to be updated. The changes also put some TPVs out-of-sequence with the revised categories until such time as they update. However, this hopefully will not negatively impact ARs filed via viewers using the older category options. There has always been a shadow hanging over H.P. Lovecraft’s fictional town of Innsmouth, Massachusetts. That much has been known since the town first appeared in Lovecraft’s writing, when it made its debut in the 1936 novel The Shadow Over Innsmouth. It is a place with a long and mysterious history, involving shipbuilding dating back to the mid-1600s, the rise of the Esoteric Order of Dagon, intrigue, mysterious happenings and more. 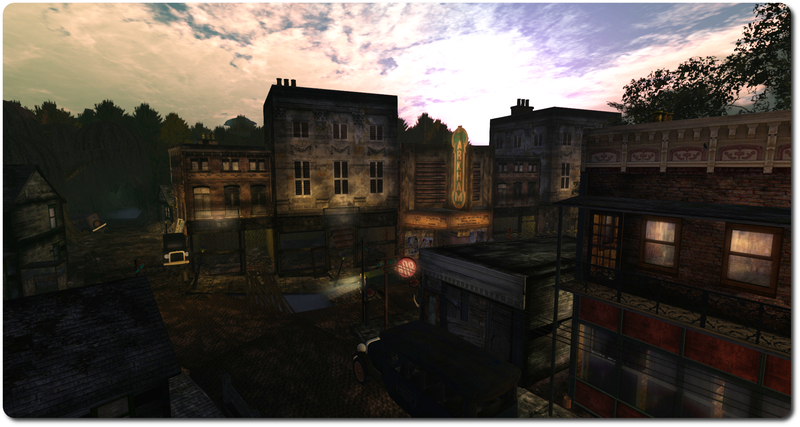 Innsmouth is also a town which has been lovingly recreated in Second Life, forming a centre of roleplay, an homage to Lovecraft’s writings and very much a famous and significant landmark. Dark and atmospheric, it captures the spirit of the deserted Innsmouth and its air of mystery and menace quite perfectly. But now a new shadow is, as SLexplorer and Ciaran Laval indicate, falling over the SL Innsmouth and threatening its future. 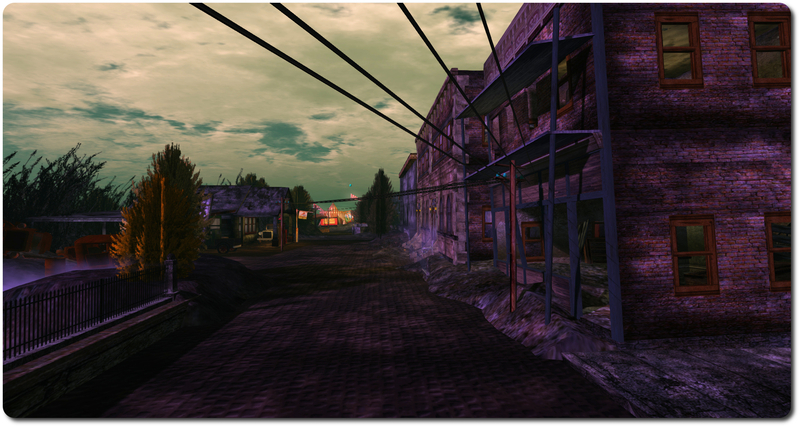 Innsmouth in Second Life has enjoyed passionate and loyal support, and the news has led to a group being formed, The Innsmouth Preservation Society, which has Darmin Darkes’ blessing and is working on ways to secure a continued future for Innsmouth. 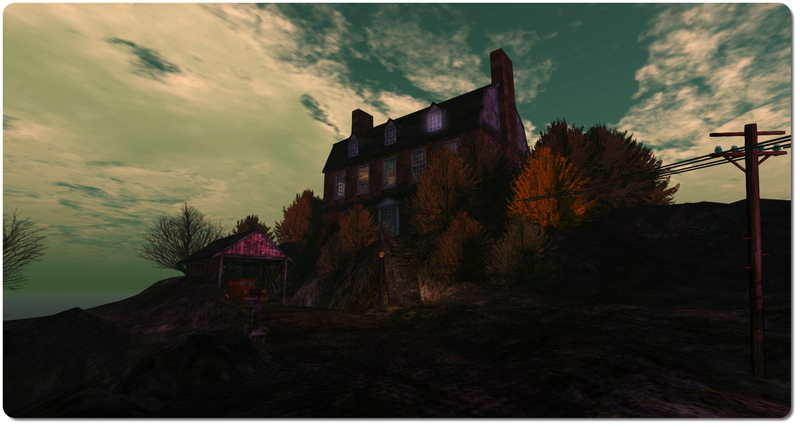 The group, led by Arik Metzger, who is the Coordinator of the HP Lovecraft Festival in SL, and Founder/Producer of the HPL-RPG (HP Lovecraft Roleplay and More Group), has already set out initial plans to try to save the region. The group has already held an initial meeting to discuss these plans and more, and a second meeting is scheduled for 19:30 SLT on Thursday, September 18th, at the Innsmouth Opera House. All those wishing to support the preservation of Innsmouth are invited to attend, listen and get involved. “We boosted the Innsmouth Preservation Society group to 33 members. A number of people expressed concerns and interests, and ideas were shared along with an overview of the immediate goals involved in saving the sim and revitalizing it for all,” Arik informed me in discussing the initial meeting. He’s been spending a fair amount of time spreading the word since the news broke, and visitors at the region will likely find him walking the streets of Innsmouth, imparting news on the group’s work, handing out meeting flyers and more. 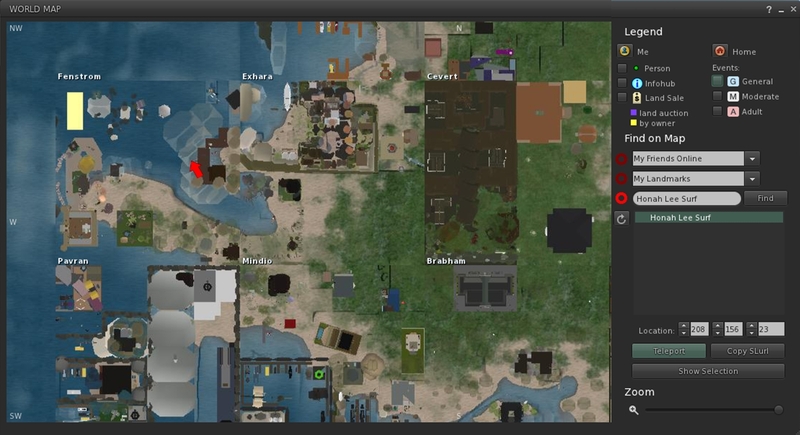 Further details on the group’s plans, and information on how to get involved in donating towards keeping Innsmouth alive in Second Life will be given at the upcoming meeting. In addition, updates and other information relating to preserving the region will be posted on the HPL-RPG website.